At 12:01 am Brussels time on April 21, www.politico.eu will go live. Its been a long time coming, but Politico has finally unveiled the launch date for its new European site, according to a staff memo obtained by FishbowlDC. At 12:01 am Brussels time on April 21, www.politico.eu will go live; and two days later, Politico will debut its weekly print edition in Brussels, Paris, Berlin, London and several other European capitals. Among the new faces will be Ryan Heath, who will write a Mike Allen-esque morning column as senior EU correspondent and associate editor at POLITICO, as well as contribute articles and host events. The new publication we are building is moving swiftly from idea to reality, and the three of us would like to share several big developments on both the editorial and business fronts. Most importantly, we have set a date for our launch. At 12:01 am Brussels time April 21, www.politico.eu goes live. 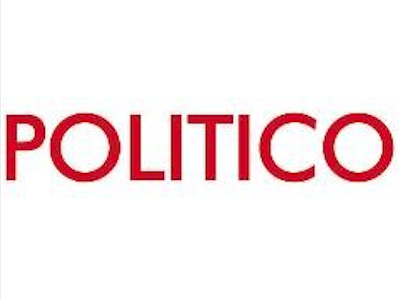 POLITICO will be a global publication. We’re going to bring the unique approach that changed the way politics was covered in Washington to Brussels and beyond. To achieve that goal, we are assembling a roster of some of the most talented reporters and editors on the continent—a mix of respected veterans and ascendant younger journalists—who are ready to help shake up a European media scene, which, in our judgment, is in need of something different. Please do read below for news of our new colleagues, including some names that will turn heads in Brussels and other capitals. First, however, we would like to share a bit of context about this singular moment. As of next month, POLITICO will have more reporters in the two main political and regulatory centers of the world—Washington and Brussels—than any other publication. Combined with our expansion into state capitals in the United States, we are building on the power of a brand that offers a very clear promise to our audience: We deliver journalism about politics and policymaking that is more authoritative in its sophistication and nonpartisan perspective than any competitor; that is more useful to people with a professional interest in public affairs; and that is more fun to read for a community of people who love the drama and sheer sport of politics. *From our main newsroom here in Brussels, we will cover the machinations and maneuvers, the personalities, and the political culture of this capital with more immediacy and style than anyone has done it before. To hell with those who say the work of Brussels is important but boring. We know that work is important and, behind the scenes, infused with fascinating people and gripping political plotlines. *For people in Europe, the United States, and around the world with professional Interests at stake in the regulatory and policy debates of Europe, we will dominate this space with premium subscription content under the Pro subscription model. This will build on the success of Pro content teams in Washington and New York. Here in Europe, our first Pro verticals will be on energy, health care, and technology. *With reporting assets not just in Brussels but in key capitals across the continent, we aim to illuminate the big European stories. As we see in the headlines every day, the security and economic challenges of Europe have become more urgent—with consequences that echo around the globe—than at any time in the past generation. The way to cover these European stories is not from Brussels alone, or from the perspective of any one nation, but between understanding the leaders and the interplay of interests between different capitals.